The heart throb of his time, Rishi Kapoor, who stole a million hearts with his chocolate boy image turns another year older. The actor is currently doing the film, Besharam, with his son, Ranbir Kapoor and wife Neetu Singh. This is the first time the Kapoor family comes together to do the film. So, the unit of the film has planned a special surprise for the actor, as the song featuring the trio was slated to be shot on his birthday. The song that they will be shooting is a special song as it the first time they will be doing a song together for a film. The idea of having Kapoor mom,dad and son together in a song is very exciting. Moreover, Rishi Kapoor’s birthday makes the shooting day even bigger and special. The entire unit is very excited about it and will be celebrating it in a big way. 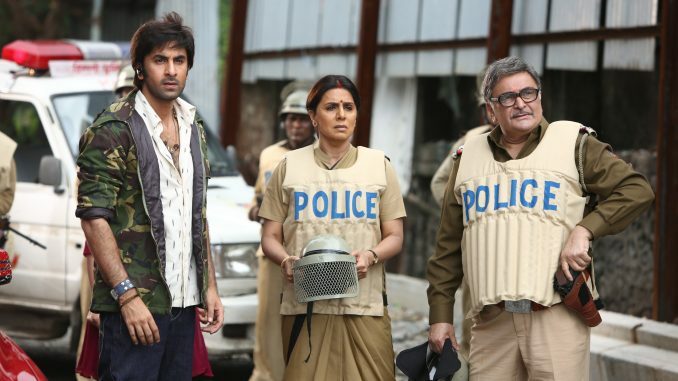 Besharam is one of the massiest films of Ranbir Kapoor and is slated to release on October 2nd.